Anyone for a game of micro-golf?! 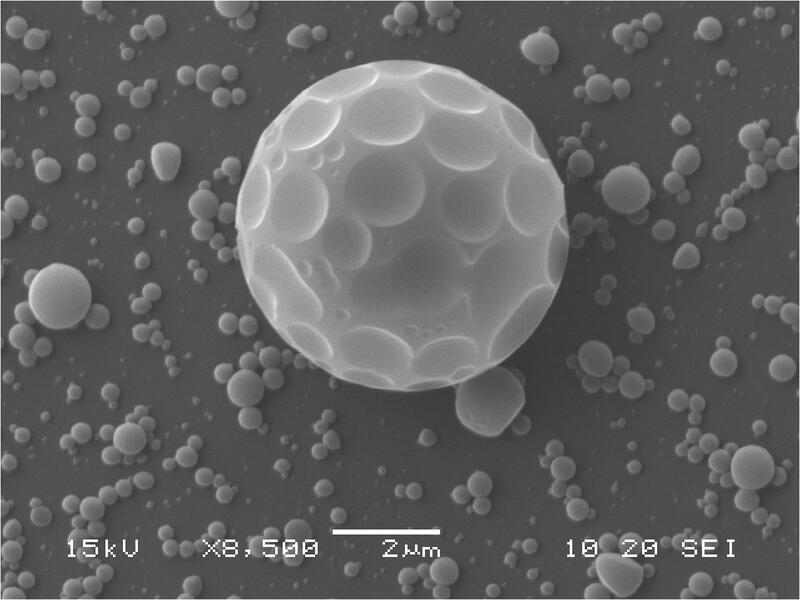 Chinwe has created microstructures that resemble golf balls from a tetra(aniline)-based material. 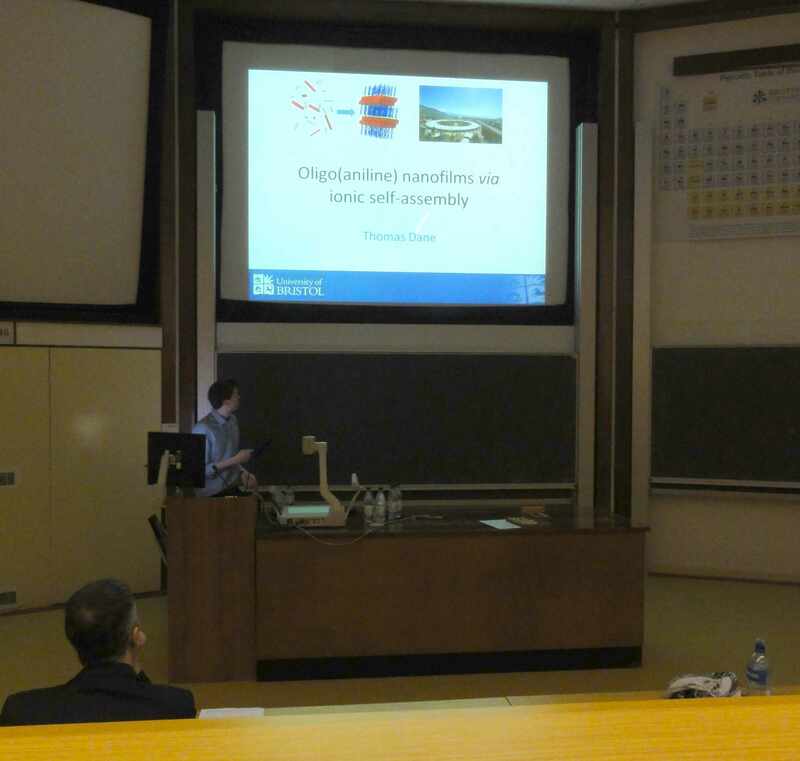 Last Wednesday, Bristol Chemistry held the first in a series of Materials Chemistry symposiums. The afternoon featured two external speakers (Sharon Cooper, Durham and Andrew Houlton, Newcastle) and five post-graduate researchers from the School of Chemistry including Tom. The talks were all of an extremely high standard and stimulated a lot of scientific discussion! 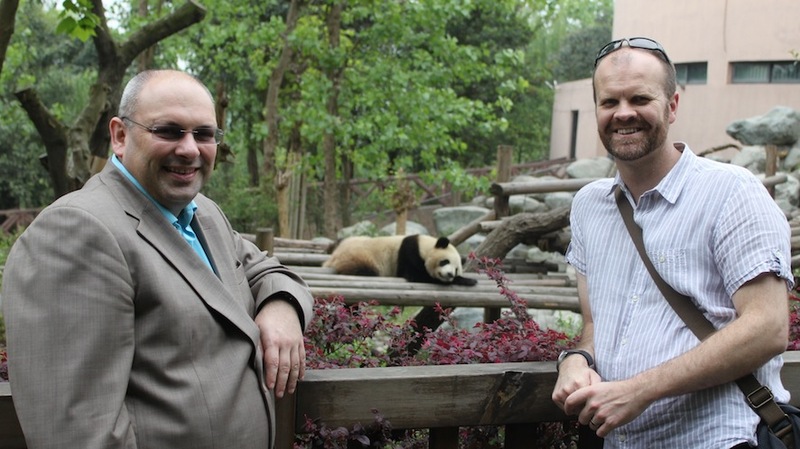 Jiangtao and Charl in Chengdu! Charl also had the pleasure to meet Jiangtao, who spent a year in Bristol, during the CCS meeting. 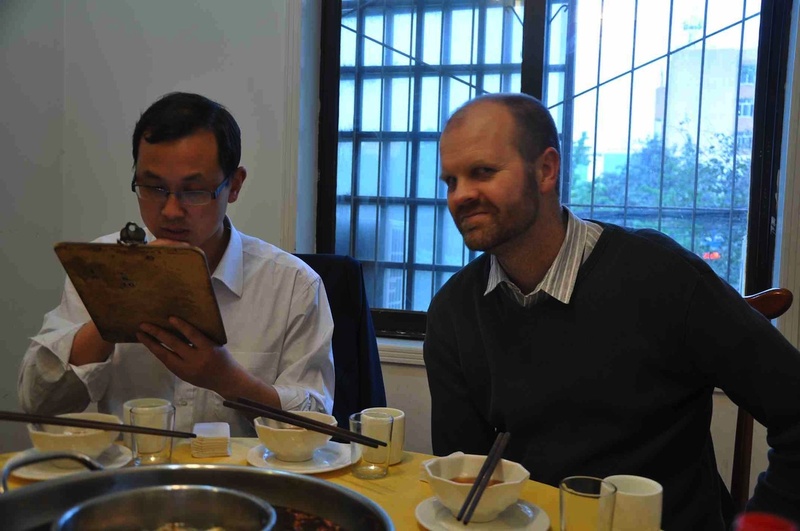 They went for a traditional Sichuan-style hot pot meal – very hot indeed! 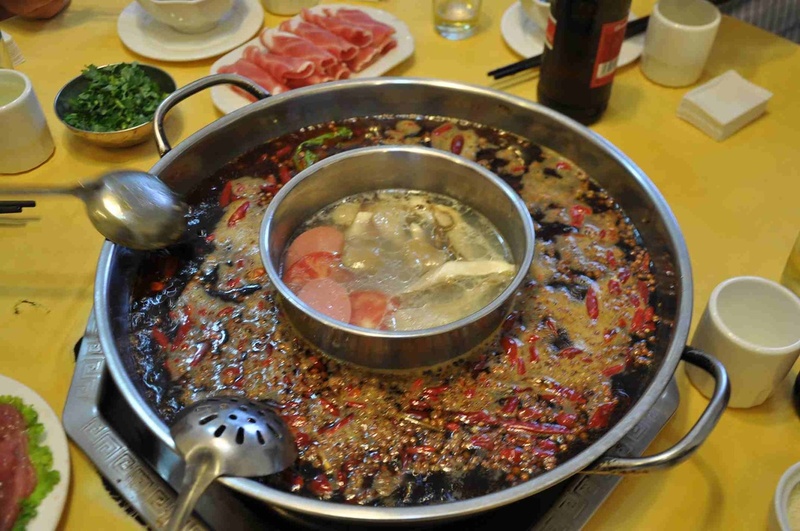 Chengdu Hotpot - Sichuan style!